This guide walks through the manual process of installing uMod plugins to a RUST server. Previously known as Oxide, the uMod framework is a popular modding platform that allows RUST server owners to install and manage custom RUST server plugins. By the end of this guide, it will have covered the basic information needed for installing uMod plugins to a self-hosted Windows-based RUST server. If attempting to install uMod plugins with a 3rd party game server provider or Linux-based server, the installation process may differ. 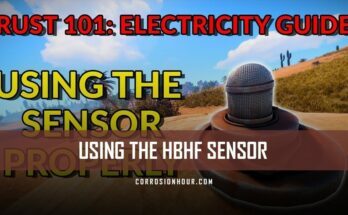 There are many reasons to set up a modded RUST server. Server owners will use plugins in order to offer unique and customized experiences for their players. Plugins, otherwise known as mods (short for modifications), are small portions of code that enable extra functionality that doesn’t exist in the core game. RUST server plugins can also be used to add additional tooling for server owners and admins. With these three things, you’re ready to install uMod plugins to your RUST server! This step requires having local access or FTP access to the RUST server. Choose the option below that best applies to you. 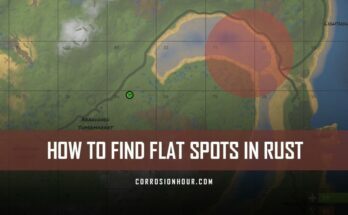 With local access to the server, this will be as simple as locating where the RUST server is installed and navigate to the /plugins/ folder. Otherwise, with FTP access to the server, an FTP client will be needed to connect to the server. This will also require the game server’s FTP credentials. Many game server hosts provide the server’s FTP credential information upon account setup and/or inside the server’s control panel. There are a few things to note when it comes to accessing the server’s /plugins/folder. The server does not need to be stopped in order to install a new uMod plugin, as uMod actively “listens” to the /plugins/ folder for changes. The /plugins/ folder will not be present until uMod is installed and the RUST server has run successfully. Once the server’s /plugins/ folder is accessible, the uMod plugin files must be moved into it, whether copying or uploading directly. When the files have completely transferred into the folder, they will automatically be loaded in by uMod. There are a few things to note when it comes to copying the plugin files to the server’s /plugins/ folder. The uMod plugin files must not be renamed and the file extensions must be left as they were when downloaded. Be sure when downloading a plugin that it’s file name was not modified with the infamous “(1)”, due to a file with the same name existing in the downloaded directory. When the uMod plugin(s) is successfully installed, a configuration file will be automatically generated and inserted to the /oxide/config/ folder. The configuration file will be a .json file and will take on the plugin’s name. However, not all uMod plugins have configuration files. Many uMod plugins are very focused and discrete in the functionality they provide. In order to know whether or not the file has valid JSON syntax, you can use just about any modern text editor such as Atom, Visual Code, Sublime Text or use a JSON validation web service. There are a few of them out there such as JSONLint.com or JSON Formatter. These tools can help to alert you of invalid formatting in your JSON file before you attempt to save it on your server. Each plugin that is installed will have a page dedicated to it on the uMod.org website. Search for the plugin name with the RUST game filter applied to find its latest documentation. Once you’ve found the plugin’s proper documentation page, check your configuration parameters against what it supports. Once the updated configuration changes have been saved to the configuration file, you will need to run the Oxide reload console command on the RUST server. Replace “BlueprintManager” with the specific plugin’s name. As seen above, returned errors display a message string and the position of the first invalid character. There are a few things to note when it comes to updating the plugin’s configuration file. Remember when reloading your plugins on your live server, it may interrupt gameplay experience, so think twice about timing. If the plugin should have generated a configuration file but did not, the plugin is most likely out of date and/or broken. If there are no apparent console errors to address, look in the /oxide/logs/ folder for associated error logs. Now that the uMod plugins are successfully installed to the RUST server, the next step for many plugins is to set up player and group permissions. While uMod provides it’s own default permissions, many plugins also have custom permissions available once they’ve been installed to the server. For some plugins, permissions allow it’s functionality to be passed on only to those players and groups that have been granted permission. 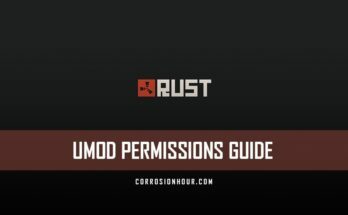 Bu sure to check out our RUST uMod (Oxide) permission guide to help get started with the next steps of setting up configurations and permissions for your plugins.